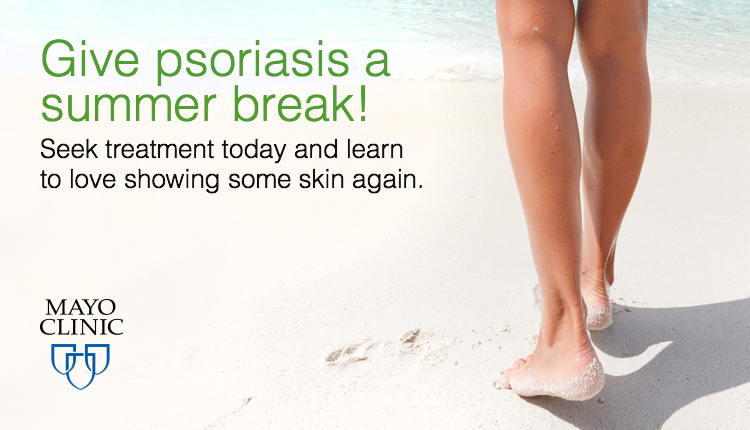 Give psoriasis a summer break! August never fails to bring us brutal temperatures, which is why you shouldn’t have to think twice about stepping out of your house in a new pair of shorts or your favorite skirt. Unfortunately, for those affected by psoriasis, insecurities about doing exactly that are common. Get treatment tips from Mayo today and end the summer struggle. August never fails to bring us brutal temperatures, which is why you shouldn’t have to think twice about stepping out of your house in a new pair of shorts or your favorite skirt.